Kathi and I are parked at Jerome county fairgrounds, We only have one RV neighbor. There is some traffic through the parking lot. There is a National Guard Armory and a County Extension Office on the property. When an event is planned in the arena, horses and riders are inside practicing during the weeks before the event. Nothing going on there this weekend. 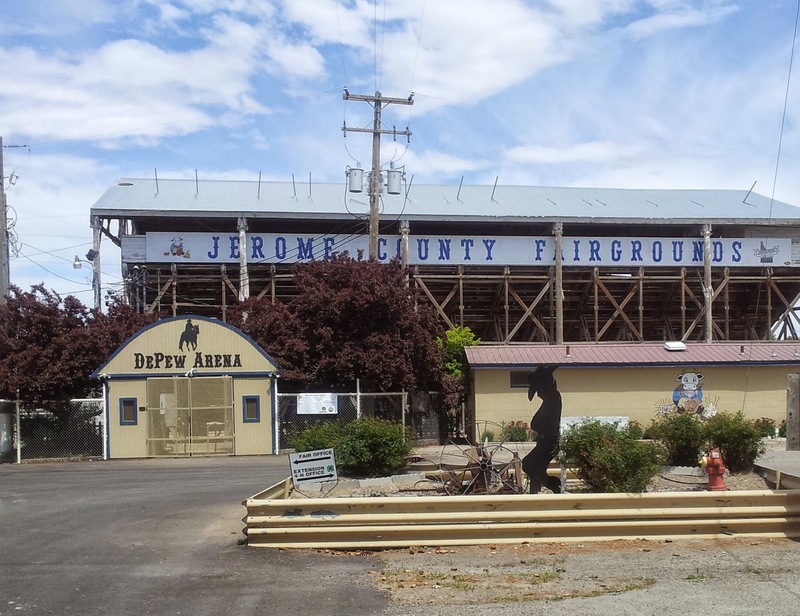 Below is a picture of the Fairgrounds entrance. My RV is ten yards to the right of where the picture was taken.